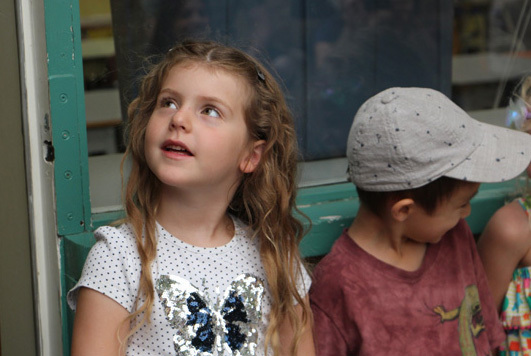 New Westminster Schools offers several programs of choice at a number of school sites. Entry into these programs is by application. These programs include Early and Late French Immersion, Montessori and the International Baccalaureate Program (NWSS). Other programs of choice and courses may be offered locally at NWSS. Please visit the school’s website to learn more about the courses offered at NWSS. If you would like to learn more about Early French Immersion, Late French Immersion or Montessori, we offer Parent and Student information nights once a year. The dates for these events will be shared as they are set. In addition, more information is available by clicking the links to the left. PLEASE NOTE: We thank you for your patience and want to let you know that we have revised our deadline for processing Programs of Choice online applications and the Programs of Choice Lottery. Parents/Guardians who applied for Programs of Choice will receive emails regarding placement by MARCH 15, 2019. Applications for Programs of Choice will be available online from 9 a.m. Monday, January 21, 2019 to 4 p.m. Friday, February 15, 2019 for students starting Kindergarten or grade one in September 2019 for Early French Immersion and Montessori, and for students entering grade 6 in September 2019 for Late French Immersion. A separate application form is required for each child. Enrollment in the program is limited. Please note: applications for Programs of Choice will no longer be accepted at the School Board Office reception. If you submitted an application prior to June 30, 2015 you will receive an email, in the year you applied for, confirming your application has already been received. All waitlists are dissolved the last Friday of September at 4 pm. For more information on items such as procedures, dates, and wait lists, we invite you to read Programs of Choice application procedures. Email us when applying for entry in grades other than K, 1, and 6 (Late French Immersion only) and for more information. Note: Spaces are limited in Programs of Choice. We offer one Kindergarten entry class at each of the three elementary schools for EFI, one Kindergarten entry class at each of the two elementary schools for Montessori, and two entry grade six classes at Glenbrook Middle school for LFI. An application does NOT guarantee a spot in a Program of Choice.